Payne accidentally entered into swimming when someone needed him to take over a swim class as a 17-year-old who did not know the four basic competitive strokes. 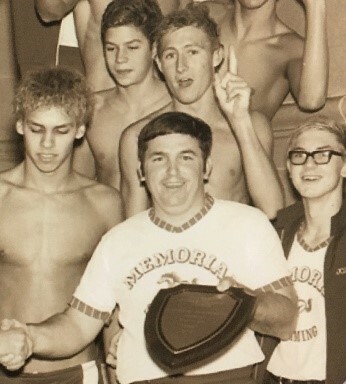 But it was no accident that 43 years later, he is one of the only three NISCA coaches to have won five or more state championships in two different states, having won 11 swimming and diving championships in Oklahoma and Texas. He was Texas Coach of the Year three times and nominated for National High School Coach of the Year. He led his teams to 11 or more regional championships in Texas and five in Oklahoma. Based on times, he led the nation in high school swimming in 1999 and was runner-up three other years. Throughout his career, he coached 141 all-Americans, three of whom set NISCA records, and 60 all-American relays. In 2006, he was awarded the NISCA Outstanding Service Award. He is Level Five ASCA Certified and supervised many Swim America and Red Cross Swim programs. He is most proud of the knowledge he acquired in the sport of competitive swimming and of having motivated young people to accomplish more than they thought they could.